Attempts were made to get Barack Obama’s social-security records through publicly accessible systems that are provided to individuals to check their own information, and to employers to check numbers for employees. 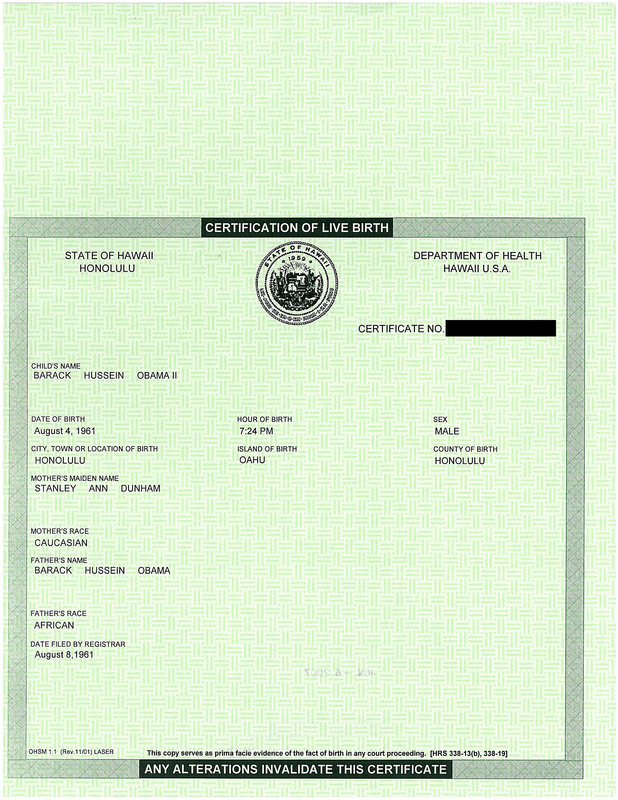 Putting aside the fact that these attempts for other purposes were illegal, and accepting for the moment these criminals’ assertions that Barack Obama’s records could not be accessed, one is left with the question of why Barack Obama’s records were not returned by e-Verify, SSNVS or Self Check. 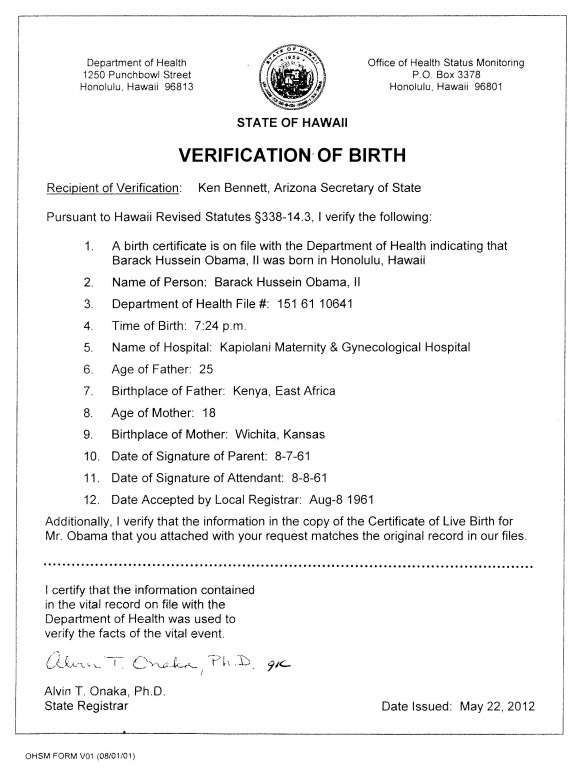 It was also reported in the press that Obama was unable to complete his online registration with an ACA healthcare exchange due to identity verification failure. In the wake of the publication of Obama’s social-security number on the Internet, the President applied for a new number and the old number was deactivated. 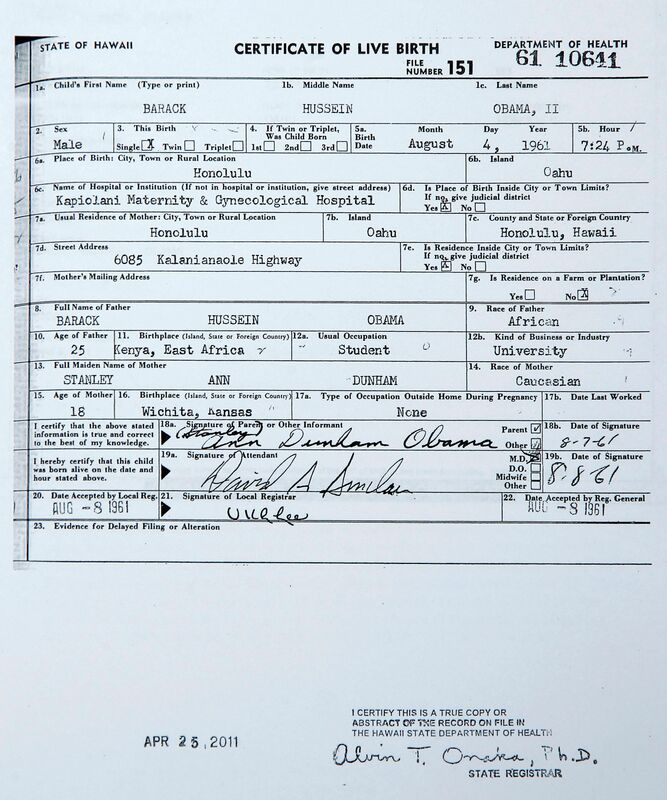 Presidential records in national databases are treated differently and are subject to tighter access restrictions than other records. The first suggestion is easily documented as a normal process in response to identity theft, but it doesn’t explain why Obama had problems signing up for health care. Up until now, the second suggestion seemed plausible, but to my knowledge not confirmed. I submitted a FOIA request to the Social Security Administration last May specifically questioning how public records requests were handled for high government officials including the President. The question was asked in the context of understanding government operations. I used as an example a comment by the White House that Obama had a problem signing up for health care online. This message is in response to your May 22, 2014 inquiry about Social Security Administration database inquiries. In addition to our rigorous safeguards designed to protect the personal information of all individuals in our databases, we have further security restrictions in place to prevent unauthorized access of Social Security records of select national figures. We share response information only with our trusted partners who are authorized to use our verification services. Safeguarding the public’s information has been an important issue ever since the creation of Social Security. In 1937, the first regulation adopted by the Social Security Board outlined the rules regarding privacy and disclosure of Social Security records. Through the years, other regulations and the Privacy Act have further defined our responsibilities to ensure the confidentiality of the information we collect and hold. SSA writes: In addition to our rigorous safeguards designed to protect the personal information of all individuals in our databases, we have further security restrictions in place to prevent unauthorized access of Social Security records of select national figures. 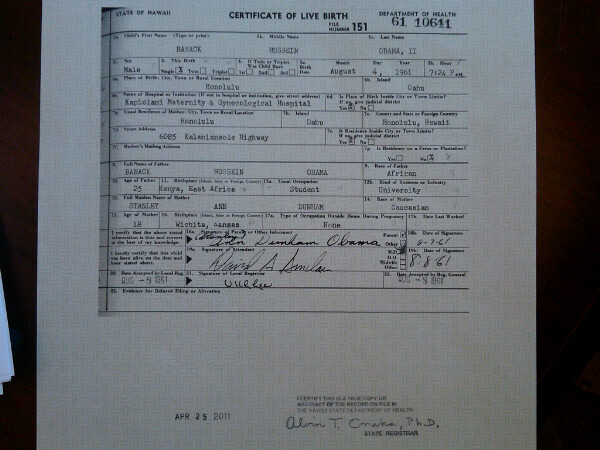 There you are…..another simple, common sense explanation that birthers will never understand or accept. 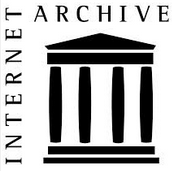 There were security measures in place to access records at IRS some 25 years ago when I worked there. You couldn’t just access records of national or local celebrities (like football players or such). If you tried, you’d be visited (and probably fired). If you were actually doing work that involved the person, notice would be made and it would be fine. But to just be searching through the records would get you into a heap of troubles. I assume that’s how the people who accessed the school loan records got in trouble. This sort of stuff is covered in training and in the documents an employee is given upon hiring. i guess some people either don’t pay attention, or think it’s a bluff. Ever notice how all of these long-winded, overly-complex conspiracies are always easily destroyed by simple, logical explanations? Similar to Mimi’s experience, 25 years ago I worked for USAA, the insurance company which caters to military personnel and their families. Many USAA members were prominent people, including President George H.W. Bush, basketball star David Robinson, and actor Rob Lowe (apparently Lowe’s father had been a military officer for a time). I was authorized to access the records of most USAA members, but any attempt to look at the records of celebrities was immediately blocked by the computer system. This guy has been posting for years under the name “Falcon9”. You think it might be everyone’s favorite birdbrain at BR? A long shot I know, but the “Falcon” label caught my eye. Mainly because they are “long-winded, overly-complex” and don’t forget, theories. Reality seldom works that way, and no conspiracy of more than one person ever stays a secret, particularly if the government is involved. For SSA purposes, a celebrity is defined as a person of extraordinary national prominence. — SSA systems are programmed to identify these cases and the interviewer is advised if this exclusion applies. — FO employees must not make the decision that a case is excluded based on celebrity status. — There is no change in policy for handling cases for individuals with celebrity status.